I just hooked up my UPS and it showed me that the government is giving me only 192 volts. I've checked with my friends near Chaweng and they have the same reading. Is this normal for Koh Samui? Definitely low, but it may bound up when the load goes off. Does your UPS allow you to log the voltage over say 48 hours? 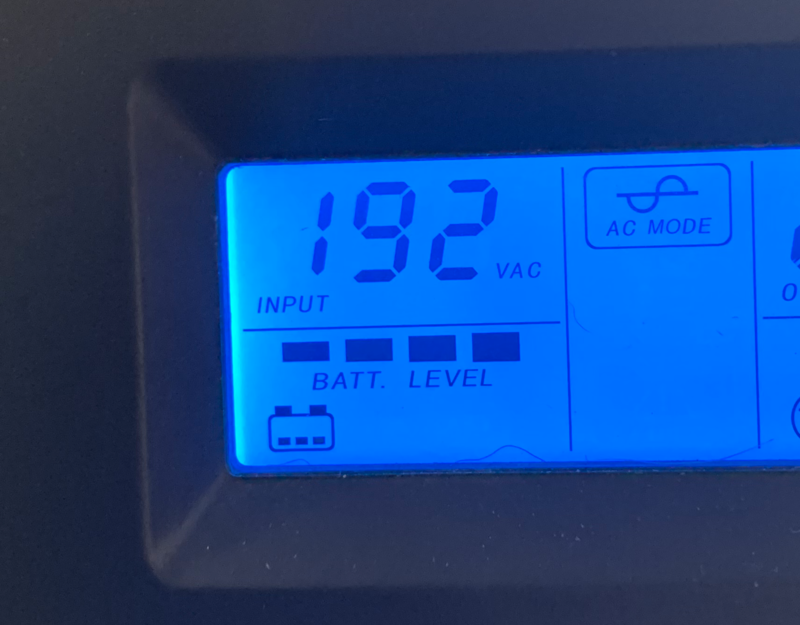 My voltage has been quite erratic (195-220) particularly in the evening until recently. It is currently relatively stable at 223-228V. The short answer is YES..! However, supply voltage has increased in stability the later years after an additional underwater cable was installed, and my power lines on the island upgraded, but when coming to a combination of hot season, with high power use for aircons, and high season, with many tourists, voltage can be low in periods. Many installation have over-voltage/under-voltage relays (Digital Phase Protector) on critical equipment, the protector will cut the power line at for example +/- 15%, and reset after a number of minutes, depending of the presets. Up til almost a decade ago huge variations were normal, and all delicate equipment should run via an UPS for constant voltage, and to avoid short power cuts; its still wise to use UPS. Yes - it is normal. Better in recent years but it used to be between 180 and 230 where I live.